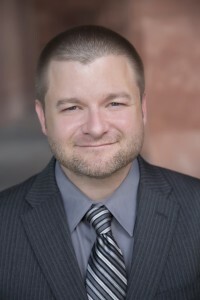 For over 15 years, Las Vegas Attorney Casey D. Gish has practiced in Federal Court, District Court and Justice Court in the areas of civil litigation, business litigation matters, contract dispute matters, personal injury matters, traffic ticket matters, and construction defect matters. Casey D. Gish has tried multiple jury trials and bench trials in Las Vegas and in Reno. He has litigated cases throughout Nevada and California. He has represented litigants in over 600 depositions and has argued in Court over 500 times. He has represented clients in over 100 arbitration hearings. He has won multiple appeals to the Nevada Supreme Court, and was successful in a published opinion from the Nevada Supreme Court (Vega vs. Eastern Courtyard Associates, 24 P.3d 219 (Nev. 2001)). His cases have ranged from small to cases in excess of $90 million dollars. He has represented individuals and companies, including casinos, hotels, restaurants, stores, major insurance companies, developers, subcontractors, manufacturers, bars, car dealerships, and many others. Furthermore, Mr. Gish previously worked directly for major national insurance companies for well over 13 years, including Zurich Insurance, Travelers Insurance, and AIG Insurance. He also has been retained by many other insurance carriers over the years, including Farmers, State Farm, AAA Insurance, CSAA Insurance, USAA Insurance, American Family Insurance. Mr. Gish has been a proud Nevadan for nearly his entire life. He moved to Reno, Nevada when he was 6 years-old in 1977. He was raised in Reno and graduated from the University of Nevada in 1995. He then went on to graduate from McGeorge School of Law in 1998. During law school he had the opportunity to extern for the Nevada Supreme Court for Justice William Maupin. After graduating from law school, Mr. Gish clerked for the Honorable David A. Huff, District Court Judge for the Nevada Third Judicial District. Mr. Gish has worked for several law firms in the areas of civil litigation, business litigation matters, contract dispute matters, personal injury matters, traffic ticket matters, and construction defect matters. He is also a licensed Realtor as well as being a licensed attorney. He uses the knowledge that he learned in civil litigation, especially in negotiating hundreds of cases, to assist home buyers and sellers with their home sales. Mr. Gish was admitted to the Nevada Bar and to practice in the U.S. District Court, District of Nevada in 1998. He was admitted to the California Bar and to practice in the U.S. District Court, Eastern District of California, in 1999. He is also admitted to practice in the U.S. Ninth Circuit Court of Appeals. In his spare time, Mr. Gish enjoys working on his classic muscle car, doing home improvements, and spending time with his dogs. He has donated his time and legal services to organizations that provide comfort and welfare for homeless animals, including the Vegas Shepherd Rescue and the Las Vegas Bulldog Club. He has also provided discounted and pro bono legal services to disabled individuals with service dogs.